Acacia Wood kava bowls are a great way to enjoy your kava. Crafted in the Philipines, these bowls hold about 7 ounces. Drink your Kava Root in style with an acacia kava bowl! Bowls are round in organic curves to hold a single serving of Kava beautifully, and are sure to impress at kava parties. 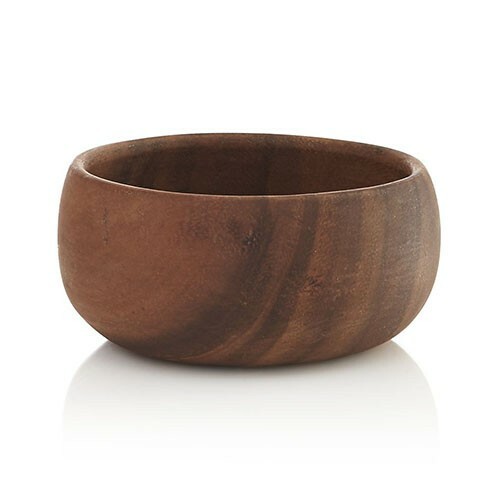 These richly grained acacia wood turns out in smooth, sculptural serving essentials. Perfectly suited to everyday decorative use as well, and elegant wood finish makes them great for artful display. The possibilities are endless! Each piece is given a clear lacquer finish to bring out the wood’s warm color and individual markings. Harvested from well-managed forests in the Philippines under close supervision of the local government’s reforestation program. This is true luxury, and fine-crafted wood. These Kava cups are so sturdy they will literally last a lifetime. Once you enjoy your Kava out of one of these acacia bowls, it will be difficult to use anything else. The acacia bowl is 4″ in diameter, 2″ high, and can hold around 6 oz of kava drink.